November 24th 2014 marked the 13th anniversary of the capture of Shaker Aamer, by bounty hunters in Afghanistan, a new campaign is being launched by independent journalist Andy Worthington calling for his release from Guantanamo. 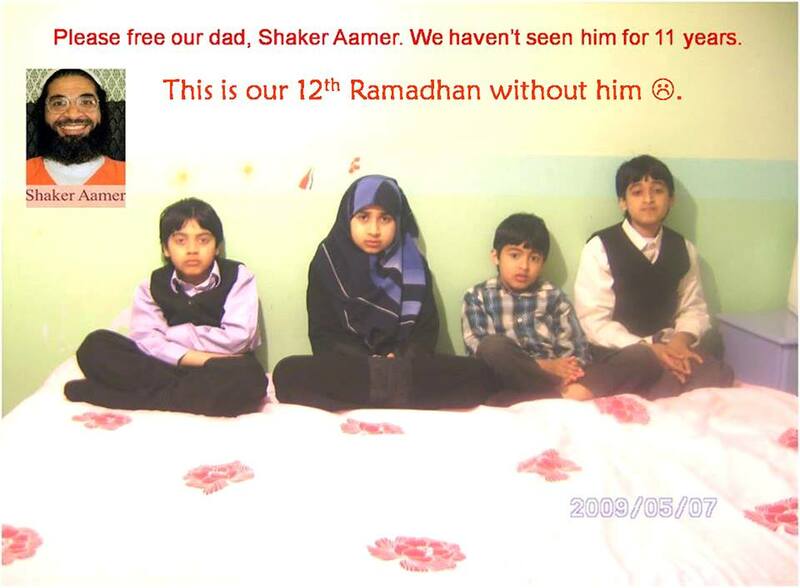 “my dad, Shaker Aamer, is in Guantanamo. It makes me so sad to know that even after trying to get him out, he is still in prison. And even though he has been cleared for release, he has been tortured. I see my dad on skype when we speak to him. Sometimes a guard stands behind him. We have to be very careful about what we talk about—we can only talk about ourselves or the guards will stop the call. 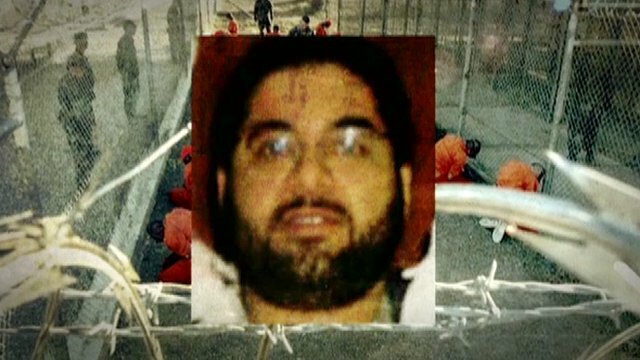 As Michael stated, his father was in fact cleared for release not once but twice under President Bush in 2007 and under President Obama in 2009 and despite the British government calling for his release Shaker remains incarcerated in very poor health. 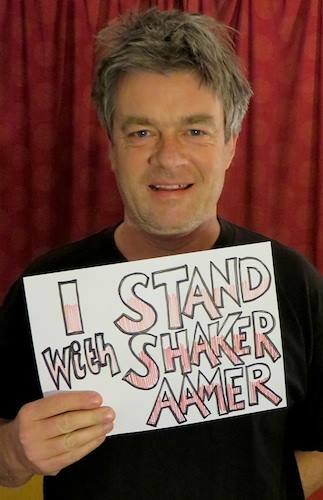 Supporters wishing to take action and show solidarity can submit photos of themselves to Andy with placards that read, “I Stand With Shaker” and there are support links on Facebook and Twitter. Recently I received a copy of a letter sent from Guantanamo by Shaker Aamer, a UK resident, who has been detained in Gitmo without trial for 12 years. Shaker’s letter was forwarded by Clive Stafford Smith, a man I have me t, who tirelessly advocates the rule of law, and every human being’s right to a fair trial. In his letter Shaker quotes some lyrics of mine and it was on those grounds that Clive forwarded the letter to me. I felt it important that Shaker’s story is heard, and that Clive Stafford Smith’s and Reprieve’s attachment to the law is recognized as being fundamentally important to us all. 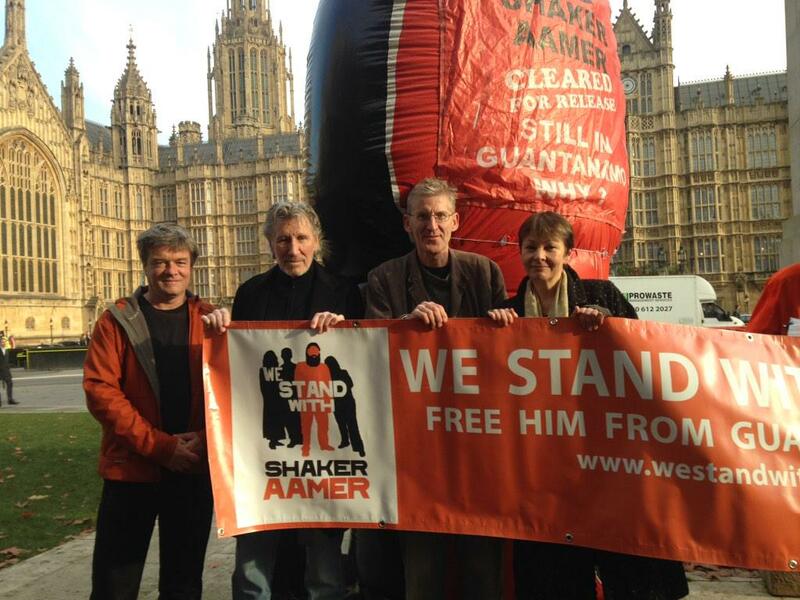 We Stand With Shaker has the full backing of human rights organization Reprieve as well as the Save Shaker Aamer Campaign, Close Guantánamo, the London Guantánamo Campaign, Witness Against Torture, World Can’t Wait and Code Pink. 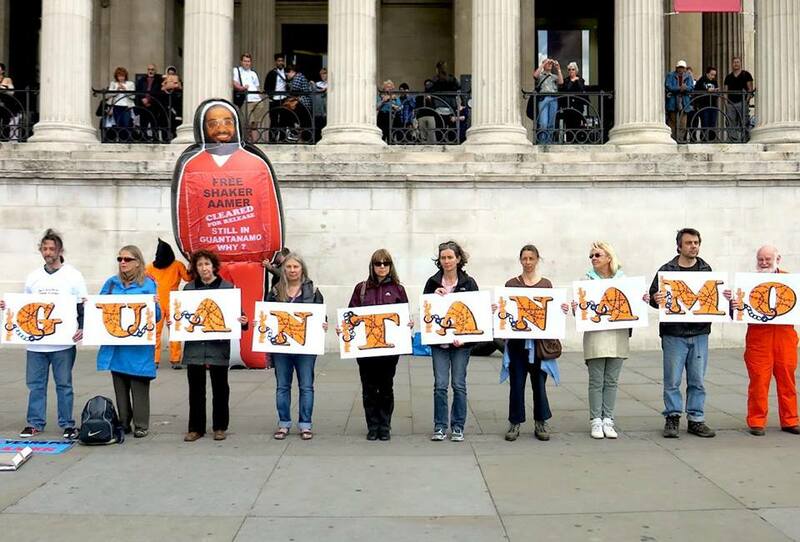 Campaigners that have followed long standing efforts to release Shaker, understand that time is of the essence as there are serious concerns for his wellbeing. As Shaker’s lawyer Clive Stafford-Smith (Reprieve) reminded us in a Guardian article (9th April 2014) he has suffered physical and mental torture and was diagnosed with chronic depression by Dr Emily Keram, a respected psychiatrist. He also suffers from special housing unit (SHU) psychosis which stems from the months and years he has spent in solitary confinement. In August, new information emerged that Shaker had reportedly been beaten at Guantánamo, in what appeared to be a crackdown on prisoners protesting their detention without charge. We Stand With Shaker aims to draw public attention to this terrible case of injustice and get the public behind Shaker to ensure he is released as a matter or urgency. We need to act now, tomorrow may be too late!